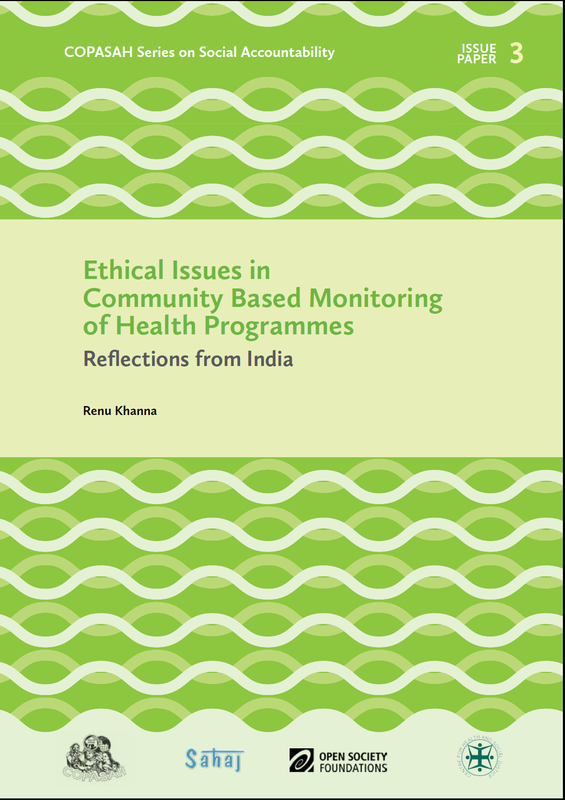 Community based monitoring is emerging as a promising practice for improving programme effectiveness and as a key component of rights-based implementation of health programmes. One of the challenges of this approach is to demonstrate that it is yielding results. 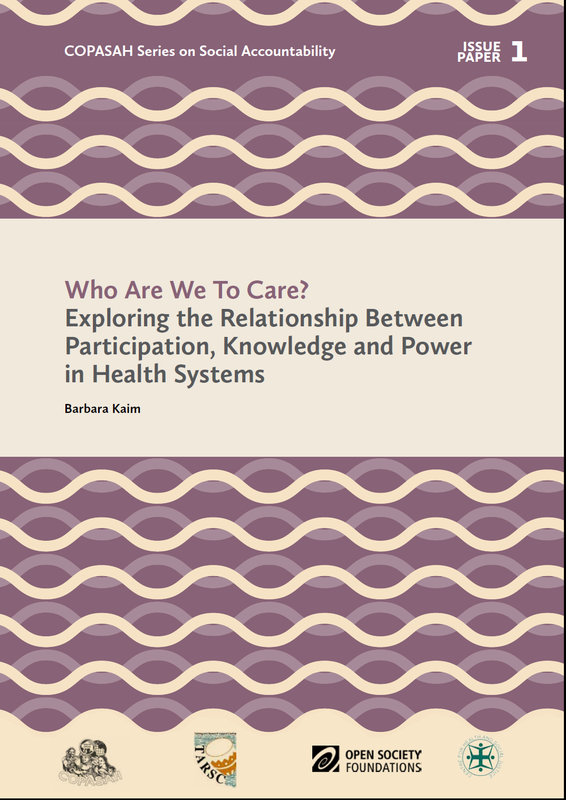 Community based monitoring is often seen as a process intensive intervention, which may not yield results in terms of changes in health ‘services’ and health ‘outcomes’ in the short term. However, it is very important in ‘empowering’ communities and in building their capacities in engaging with service providers and to negotiate better services for themselves. 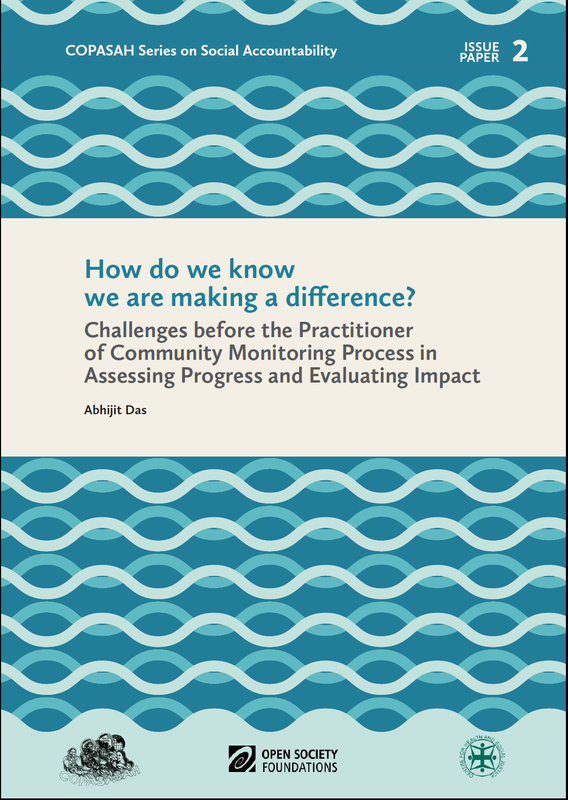 This paper discusses the different conceptual dimensions of community monitoring and then explores the difficulties of monitoring and assessing progress and results. 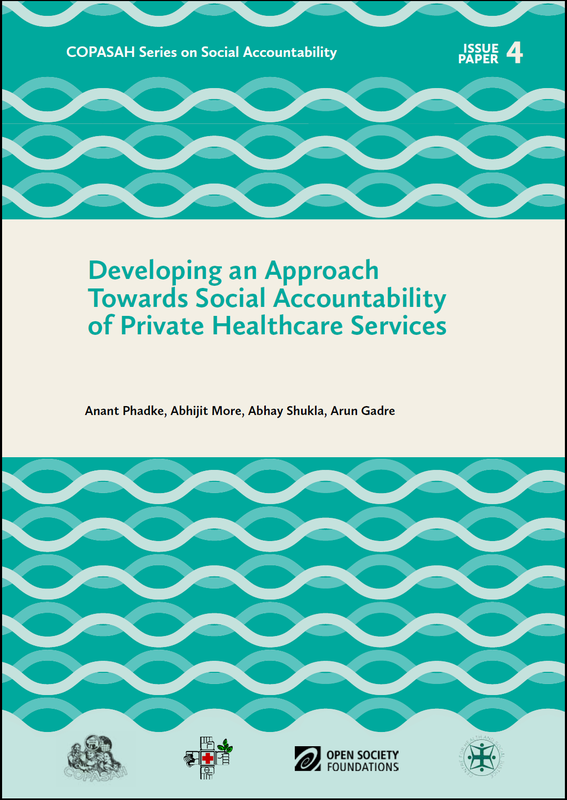 • Thirdly, examples of some efforts made towards building social accountability of private healthcare services in developing countries and lessons learnt from them. 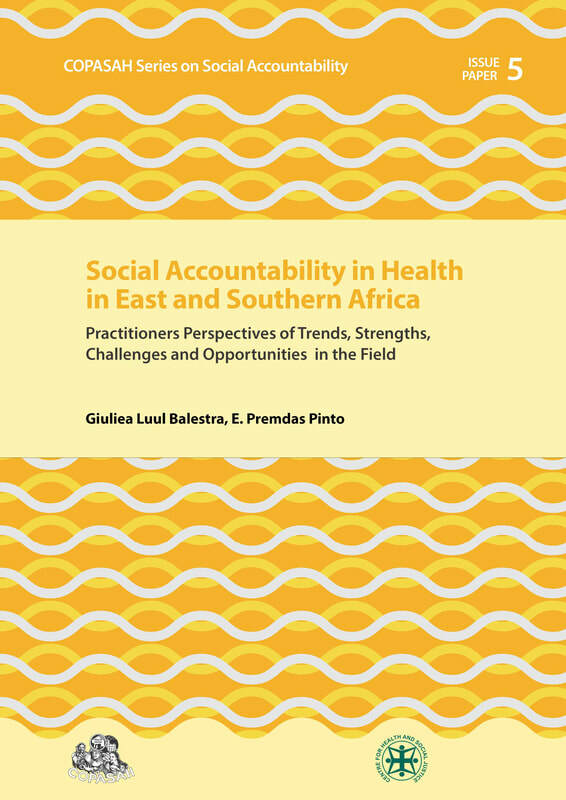 This paper summarises the findings of research undertaken with the aim of mapping the field of social accountability in health in East and Southern Africa (ESA) from a practitioners’ perspective. The research was conducted on behalf of the Community of Practitioners for Accountability and Social Action in Health (COPASAH).